All the latest news across the Caribbean Union. 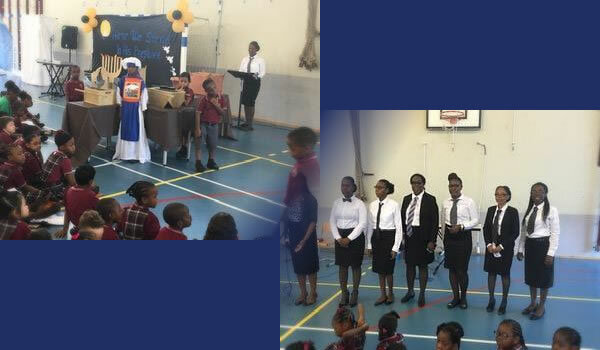 The St. Maarten Seventh-day Adventist School hosted activities from the 22nd to the 26th of October, 2018, to celebrate Adventist Heritage Week. Here We Stand in Your Presence was the thematic backdrop to the students’ re-enactment of the Great Disappointment which occurred on October 22, 1844. The Seventh-day Adventist (SDA) Church rose from the ashes of this dashed expectation and, on that day, members are reminded to reflect on the spiritual legacy left by pioneers of the SDA movement. The week’s activities were organized by a team of teachers, led by Gloria Butcher. 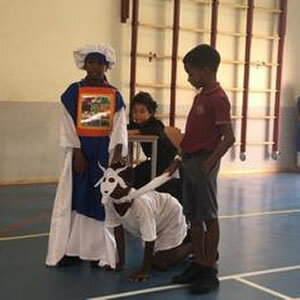 The students’ vivid portrayal of scenes depicting Christ’s ministry in the heavenly sanctuary and His imminent return captivated the attention of parents and friends whose presence was a welcome addition. Annually, the General Conference of Seventh-day Adventists designates the Sabbath closest to October 22nd as Adventist Heritage Sabbath. On this day, congregations and institutions, around the world, commemorate SDA heritage through fellowship, personal spiritual inventories, prophetic reminders and a re-commitment to nurturing relationships with Christ and the community.